Battlefield BC2 Demo out Now! Alongside the first piece of downloadable content for Assassin's Creed II, The Battle of Forli, A Xbox 360 multiplayer Demo for Bad Company 2 has just been released. The Demo Lasts until Feb. 25th, so get to playing! 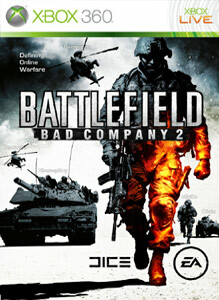 "Welcome to the Battlefield: Bad Company™ 2 multiplayer demo! Get ready to feel the heat of battle in the vast Port Valdez map set on the Alaskan coastline. Fight together to secure valuable crates in 'Rush Mode' as the action progresses seamlessly across a variety of different locations. Delivering best-in class vehicle warfare and unprecendented levels of destruction Battlefield: Bad Company™2 will deliver an all-out war experience unlike any other. Demo ends 25th February 2010." 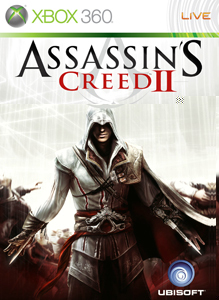 "Assassin’s Creed II Sequence 12: Battle of Forli expands the AC2 experience by delivering a missing piece of the storyline. Join Machiavelli and Caterina Sforza to defend Forli from the Orsi Brothers. Accomplish a daring rescue and prevent the Piece of Eden from falling into the hands of the Templars. Uncover new depths to the historical conspiracy by gaining access to six challenging new memories. Pilot Leonardo’s flying machine across Romagna. "